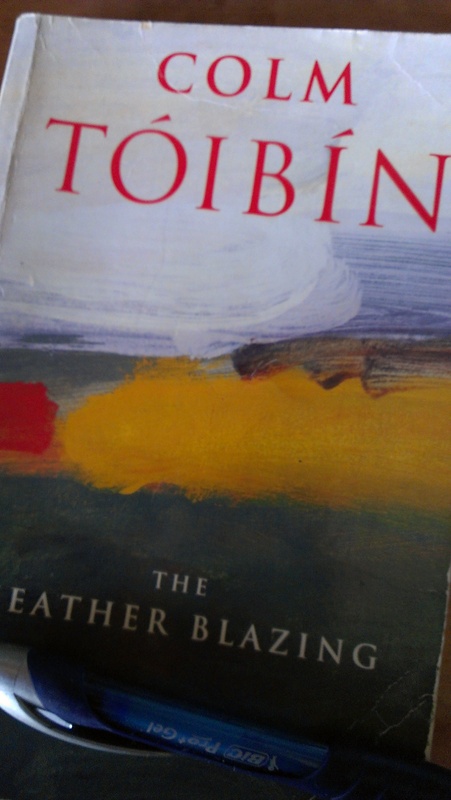 Passages Of Writing: The Heather Blazing by Colm Toibin. Book: The Heather Blazing, Colm Toibin. First pub. Picador 1992. This ed. Picador 1993. Why: I’ve been looking for good examples of opening paragraphs, and this seems to fit the bill. -and it even gives you a sense of state of mind – contemplative, using words like ‘stillness’ and ‘quiet’. Within a couple more paragraphs he adds a suggestion of a bit of danger, bombs and balls of fire, and a question for us to ponder – a ruling on a court case. It’s all there in the first two pages. Eamon Redmond stood at the window looking down at the river which was deep brown after days of rain. He watched the colour, the mixture of mud and water, and the small currents and pockets of movement within the flow. It was a Friday morning at the end of July; the traffic was heavy on the quays. Later, when the court had finished its sitting he would come back and look out once more at the watery grey light over the houses across the river and wait for the stillness, when the cars and lorries had disappeared and Dublin was quiet. A agree. Great first paragraph. I nominated you for the Lovely Blog Award. The post will come out Monday October 1.